While I was working on my epic favorite album of every year I've been alive post I started thinking about my first memories of music. So as something to discuss until I post the album list next week, here is what I remember. The first song of any type that I remember being obsessed with is Ozzy the Ostrich, off a kid's music album I presume, when I was 4 or 5. No sign of the song on Google so I have no more info that that. The first rock song I remember "liking" is Joy To The World by Three Dog Night. This would have been around the same time, age 5 or so. My dad had a reel-to-reel recorder / player and every year he would set it up to tape Casey Kasem's Top 100 countdown on New Year's Eve. So my early exposure to popular music is those tapes, and Armed Forces Radio. There was no English language TV is Spain so the background sound in our house there was wither one of those 8 hour tapes, or the radio. I also have this memory of my dad bringing home his new 4-channel, possibly quadraphonic receiver when I was in 2nd grade, maybe. I remember him spending an afternoon getting the channels balanced and speakers situated, and then having me sit in just the right spot to experience The Who Quadraphenia is its 4 channel glory. That record was released in 1973 so the timing fits, however there a couple of problems with this memory. First, my dad liked two kinds of music, country and western. I can't see him buying Quadrophenia. 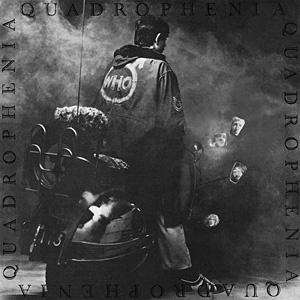 Maybe he would have bought it just to show off the stereo, but as far as I an tell, Quadrophenia was not actually recorded as a Quadraphonic recording. My dad was technical so I don't think he would have screwed that up. So it's possible none of this actually happened. The receiver definitely existed because we still had it when I was a EET major in college. I gave some thought to trying to rebuild it back then.